June 19, 2012, 2:23 p.m. Lessons from previous grants and investments have changed Knight’s approach to funding innovation. By Justin Ellis @JustinNXT June 19, 2012, 2:23 p.m. The Knight Foundation is broadening its funding mechanisms again with the addition of the Knight Prototype Fund. Announced yesterday at the MIT-Knight Civic Media Conference, the prototype fund will be a smaller, quicker way of providing money for news and information projects. According to Michael Maness, Knight’s vice president for journalism and innovation, grants from the fund will be up to $50,000 and cover a period between 60 to 120 days. The foundation has already awarded two projects: the University of Nebraska’s drone journalism experiment and a sentiment analysis research tool from the Jefferson Institute. “This is based on us being as iterative and nimble as possible,” Maness said. It all adds up to two words: speed and agility. Knight wants to be able to invest in a project regardless of whether it’s coming out of a nonprofit or an established company. And it wants to do so quickly, inspired by agile development and moving frequently to learn what works and what doesn’t. After examining previous projects they’ve invested in, Knight found that the first versions of many were built at a cost between $15,000-$25,000. Maness said he imagines the lighter process will appeal to student entrepreneurs looking to build an early demo, or to journalists with an idea for a news tool whose company doesn’t have the resources to experiment. Because of the (relatively) small dollar amount, the risks are lower, he said. Maness said they expect some projects may not develop further out of the prototype stage. But the hope is that lessons from those failures can create a kind of “salvage yard of ideas.” Ideally, Maness said, the prototypes, win or lose, would become part of Knight’s network and give future entrepreneurs something to build on. “We think it will be a great pipeline for us to learn what is in the field,” Maness said. POSTED June 19, 2012, 2:23 p.m.
Ellis, Justin. "Knight Foundation diversifies its journalism investments again with its new Prototype Fund." Nieman Journalism Lab. Nieman Foundation for Journalism at Harvard, 19 Jun. 2012. Web. 23 Apr. 2019. Ellis, Justin. 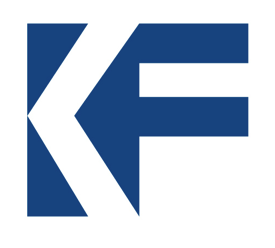 "Knight Foundation diversifies its journalism investments again with its new Prototype Fund." Nieman Journalism Lab. Last modified June 19, 2012. Accessed April 23, 2019. https://www.niemanlab.org/2012/06/knight-foundation-diversifies-its-journalism-investments-again-with-its-new-prototype-fund/.